In general I am not one who gives much credence to awards. For example most of the artists and films that win Academy Awards or Emmys each year aren't the ones I would vote for. This is also true for the perfume awards known as the FiFi's. On the phone the other day Laurie Stern congratulated me on winning a bunch of medals at the LA Artisan Fragrance Salon and told me to share the news. Thus, I had Greg make them look like real medals and posted them here on the side bar of the journal. 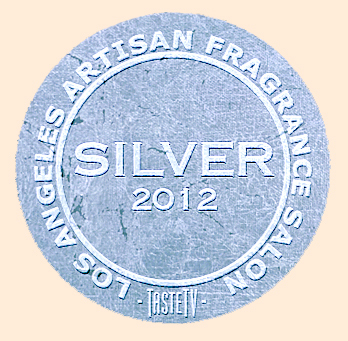 I received three silver medals: Best Ingredient Combinations, Best Aroma and Best in Salon, I also received two Bronze medals: Top all around perfumer and Most Seductive Scent. 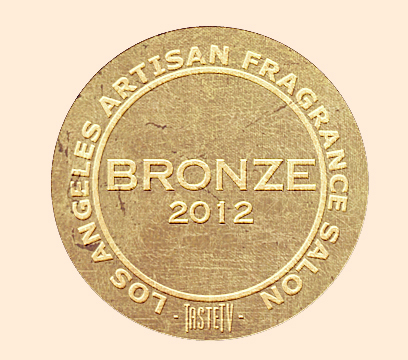 I am super grateful for the accolades from the mysterious judges, especially if it helps get the word out about the value of authentic natural and artisanal perfumery. Did you know the word artisanal is derived from artisan meaning "to instruct in the arts." What I am most grateful for, every single day, is each of YOU and the beautiful notes you send me about the fragrances I create. Thank you so much for supporting my work and those inspired messages!